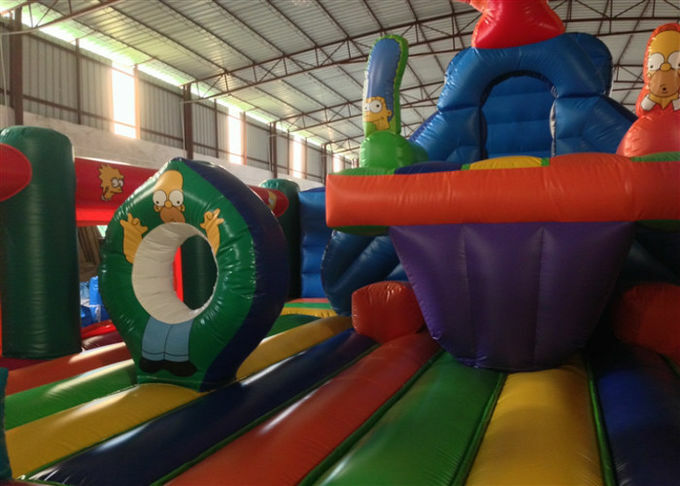 Inflatable pendulous funcity has many obstacles,the design is very special, children need to climb the slide into the inflatables and there only has one entrance.There is a moving slide inside which is funny for children. Fun City are uniquely owned by Xincheng Inflatables Ltd. 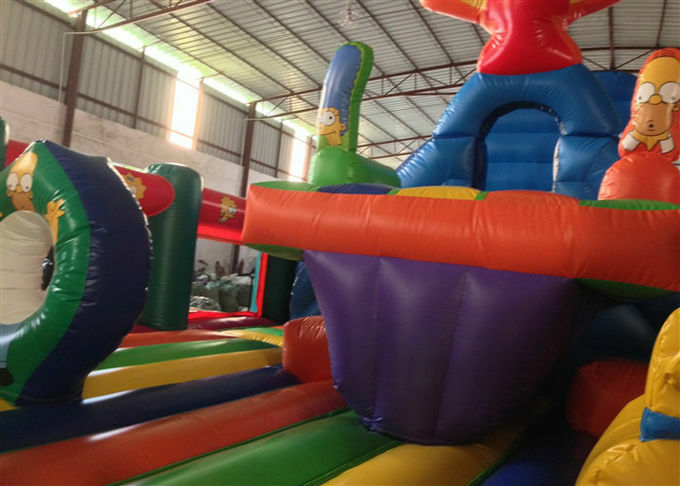 Here you could find our huge and complex inflatable games that are larger than 40 square meters. We create this series for players, especially kids to have multiple and care-free fun! 1). We have the professional design team who are skilled 3D computer technicians along with Graphic Designers and Pattern makers, skilled sewing techniques and uniquely innovative products. 2). All games are made according to the newest EN14960 standard and choose the best 0.55mm pvc tarpaulin. 3). We use high-end automated cutting machine imported from Germany, which can cut material exactly, smoothly and fast. We adopt the best digital printing skills to assure the quality of inflatable products. 4). The printing is with liquid protecting imported from USA, and the printing won’t be fade and used longer. The paint has passed the SGS test and lead-free. 5). Customer design is accepted.